Stop Press! The Annual Parochial Church Meeting has been rescheduled to take place on Saturday 20th April at 12 Noon. All members welcome to discuss church business and vote in the new Parish Church Council. Saturday Space: Family Communion For All every last Saturday of the month followed by supper. All welcome. For more information from our Facebook site, please click here. Welcome to our website, which we hope will give you a flavour of the parish of St Peter & St Paul, Nutfield. 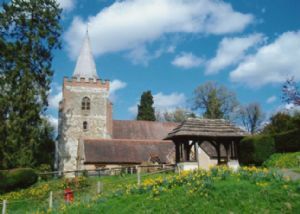 Nutfield Church is part of a united benefice with St Mary the Virgin, Bletchingley maintaining its own distinctive style of worship based upon the Book of Common Prayer. 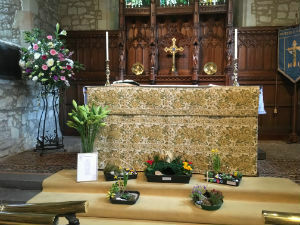 The benefice is connected through a group ministry with Christ Church, South Nutfield. We are also linked to the parish of St. Cuthbert's Cathedral, Gweru, in the Diocese of Central Zimbabwe, where we support a group of AIDS orphans under the auspices of Cuthaids. Our traditional forms of service commend themselves to a wide range of people of all ages within the village of Nutfield as well as from the surrounding areas. Our less formal acts of worship are also appreciated by a growing number of young families. The key aspect of whatever we do is excellence - whether it is in music or words - as we strive to do all to the true glory of God and to make it a worthy offering. There has been a place of worship on the site in Church Hill from Saxon times and although it is now quite close to the expanding town of Redhill and within easy reach of the M25, M23 and Gatwick Airport it retains all the charm and simplicity of a typical English country church, set in a magical churchyard. The interior of the church has many historic monuments and wonderful examples of Burne-Jones stained glass windows. 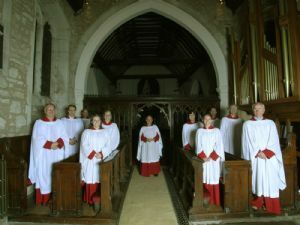 A website can only give you a glimpse of parish life but we hope it will whet your appetite to find out more about us by coming to join us on a Sunday or at one of our recitals and	concerts. 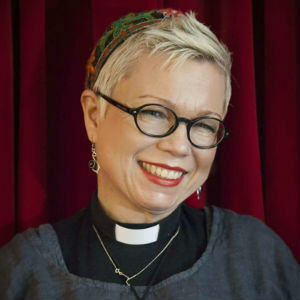 If you are looking at the website with a view to enquiring about a Wedding, Christening, Funeral or other Pastoral Matter please contact Reverend Phaedra Pamphilon-Green on 01883 743252 or click here to email.